This picture story book features the original text by Clement C. Moore- about a parents’ encounter with Santa as he delivers the presents to his family’s home- but it has one main difference from the usual reproductions. This book is ‘illustrated’ entirely using Lego creations. Each scene has been lovingly and carefully put together using Lego bricks (and the occasional piece of felt), with Lego Minifigures rounding out the ‘human’ cast. Close-up photos on each page show the detail and thought that has gone into making this book, especially in the creation of Santa’s sleigh and his reindeer. 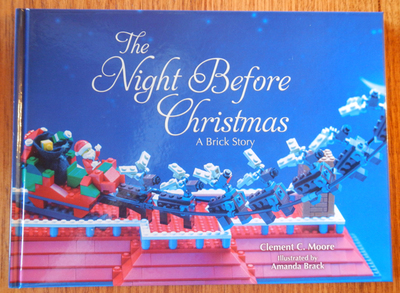 This book would be perfect for the Lego lover in your life. While not quirky as such, this hardback picture story book is certainly different. 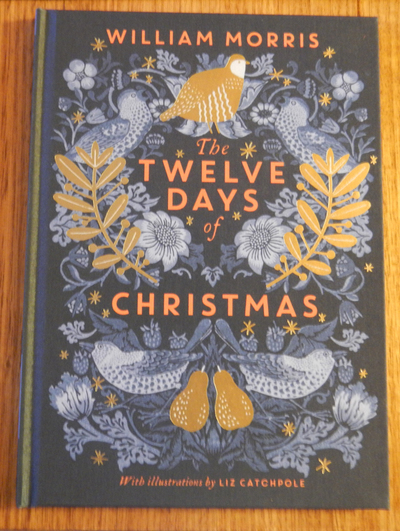 Aimed more at adults (or people who enjoy the creative stylings of pattern master and artist William Morris), this book, which was released by the V&A Museum (Victoria & Albert Museum, London, for those who don’t know) celebrates the popular Twelve Days Of Christmas song. Each page features the lyrics to the song, as well as a reproduction of William Morris’ artwork from the V&A archives (a listing of which can be found at the front of the book). Along with his distinctive floral designs, illustrator Liz Catchpole has taken inspiration from his artwork to add her own work to the mix. 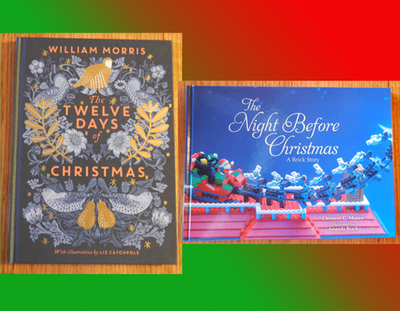 Beautiful and festive, this book is perfect for a fan of William Morris or those who appreciate his artwork.